MC’s award winning band is ready to perform a new field show at the upcoming home football game on Oct. 13, setting the bar high for their next show. “The show is called Dark Hearts and it features music from the musicals Sweeney Todd and Into the Woods,” junior band member Emily Murphy said. Throughout the summer, band has been working to perfect their show with band camp taking place the week before school began, up until now. The band members prove to be committed people as they practice ceaselessly to finish the routine in time for the next halftime show. With the work it takes to put on a performance for the school, every show needs direction and critique. For band, they are led by Garry Mac who has been directing shows like this for about 27 years. 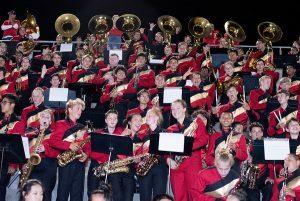 The guidance of these leaders interspersed with talent and commitment of band members led them to win Arcadia last year- a championship tournament. Band doesn’t perform alone, as Color Guard has been preparing their routine for the halftime show as well. 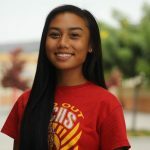 “[Color guard has] started preparing for the show during band camp in the summer and I feel our hard work will pay off. Even on our first day of school, we had a night rehearsal,” Pelante said. With all the time spent on this upcoming halftime show from both band and color guard alike, there is no doubt that the students and staff in the bleachers will see dramatic new moves and dances. 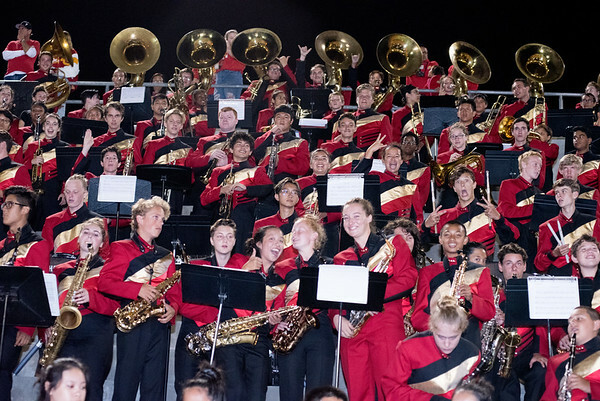 Like every program within the school, band has responsibilities that all members must be prepared to complete, such as long, tiring practices and being a part of creating show stopping performances. Even though there are many tasks that need to be finished, many students at MC, band and Color Guard themselves, are anticipating the show altogether. Previous College Board: College prep or corporate greed?